Complete that unique camouflage look on your truck with the American Brother Designs camo bed rail emblems. 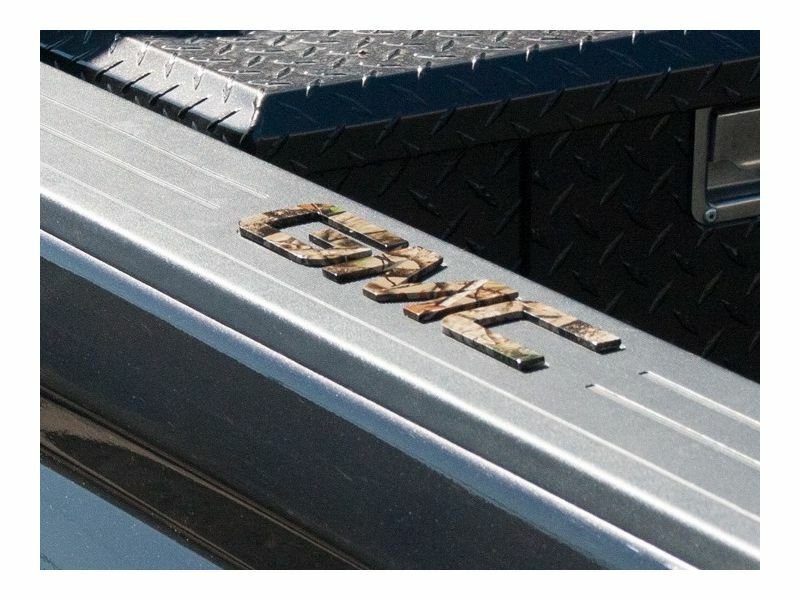 Take your boring bed rail caps and give them a more rugged look with these awesome GMC truck emblems. Proudly made in the USA, these bad boys are a great way to accessorize your ride! Sold in pairs, each set of GMC emblems show off either multi-camo, tree camo, or digital camo. Constructed from durable billet aluminum into the well-known GMC emblem, you better be ready for people asking you where you got them! Each bed rail emblem provides a unique look to your everyday bed rail caps that most vehicles do not have. No drilling or cutting is required with the American Brother Designs camo bed rail emblems. Have them on within minutes and be on your way to giving a new look to your truck bed. Adding an accessory to your truck never happened so easily! The bed rail emblems are backed by a limited warranty. Easily install with no tools required! Need help? Give us a call at 877-216-5446.